Please complete the form below or alternatively download the Taking Over an Existing Business form. There will be a fee of £50.00 charged by the Markets Service payable to cover administration and credit check costs. This will be payable once the application has been validated. If change/addition to use is required, an additional fee of £70.00 is payable. This will also be payable once the application has been validated. Notices advertising the proposed change will be displayed on the market notice boards for ten days, allowing tenants to comment prior to any Assignment being authorised. I wish to remind you that you are advised not to complete any financial transactions with, or allow, the other party to take / give possession of the unit(s) until the Council has given it's written consent. This is extremely important as the current tenant will remain liable for all rental payments until such time when the proposed transfer date has been agreed by all three parties. This section of the application form is for information relating to the new tenant(s) and the business being put forward to trade in the market. Please list the changes / improvements you intend to carry out to the stall / unit. Please list the products and / or services you wish to provide. Please provide evidence to demonstrate there is a demand for the proposed products and / or services. Please provide details of how the proposed change of use / addition to user clause will improve / benefit the market and its customers. Are the proposed products / services already available in the market? If YES please provide details of how the proposed products / services may differ from the "offers" on the other stalls? Please attach a plan / drawing, including measurements, of how you intend to incorporate the new line(s) into your existing / new unit and any other alterations that you wish to make. We will obtain information about you from the credit reference agencies and Council records to check your credit status and identity. The agencies will record our enquires which may been seen by other companies who make their own credit enquiries. We may use credit scoring. We may make periodic searches at credit reference agencies and will provide information to other Council departments to manage and take decisions. The information may also be used for tracing and debt recovery purposes. 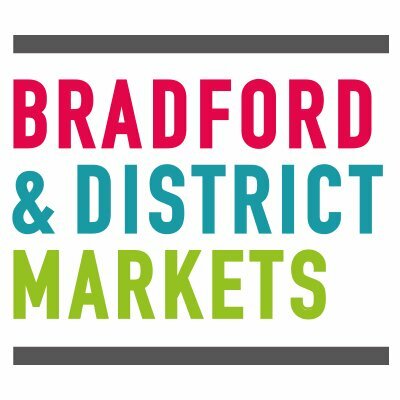 I/we hereby give my/our consent for Bradford Council Markets Service to apply for a personal Credit Reference in respect to my/our application. I/we understand that public funds must be protected and so the information I/we have provided on this form may be used to prevent and detect fraud. The information on this form may be used by the council for checking to other records held by the council and may also be shared, for the same purposes, with other organisations which handle public funds. I/we confirm, that to the best of my/our knowledge, the information provided on this form is correct and gives a true representation of my qualifications and employment history and agree that this information can be used for monitoring purposes and my consent is conditional upon the Council complying with their obligations un the Data Protection Act 1998. Please ensure that the current tenant of the business completes the Assignment of Tenancy/Lease form which is available in the Trader Zone.